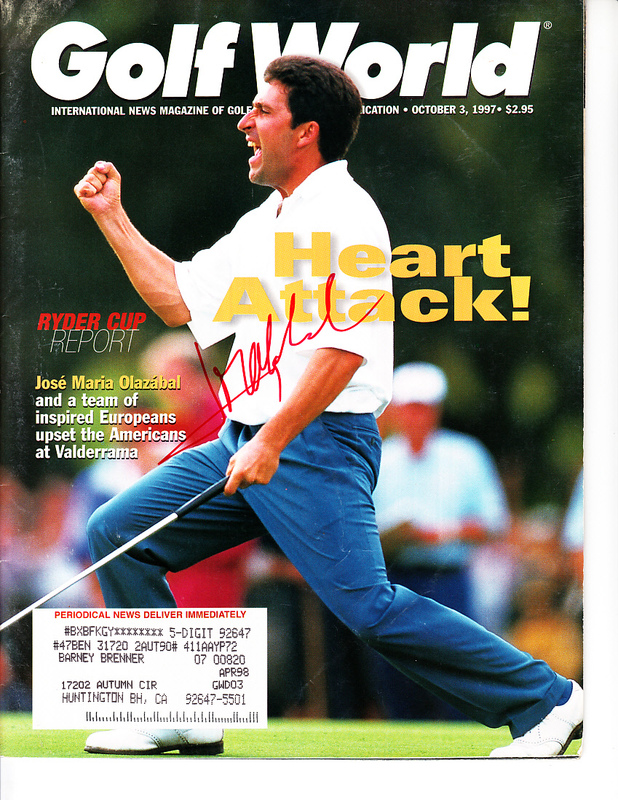 1997 Golf World magazine featuring Jose Maria Olazabal from the winning European Ryder Cup Team autographed in red Sharpie. Obtained in person, with certificate of authenticity from AutographsForSale.com. Has moderate flaws and wear. ONLY ONE AVAILABLE FOR SALE.